What began as an ambitious project by France that was later completed by the United States in 1914, building the Panama Canal was a huge milestone that transformed the world of shipping by providing a more direct route through the Americas saving ships thousands of miles each voyage. For businesses and consumers, that’s a very big deal. Think about this: A ship traveling from Florida to Long Beach, CA before the canal opened had to sail all the way South beyond the tip of the South America, round Cape Horn then travel the entire distance back north to Long Beach. That equates to more time spent at sea, more gas used, more people to pay, etc. and it all combined to skyrocket the cost of shipping, but not anymore. 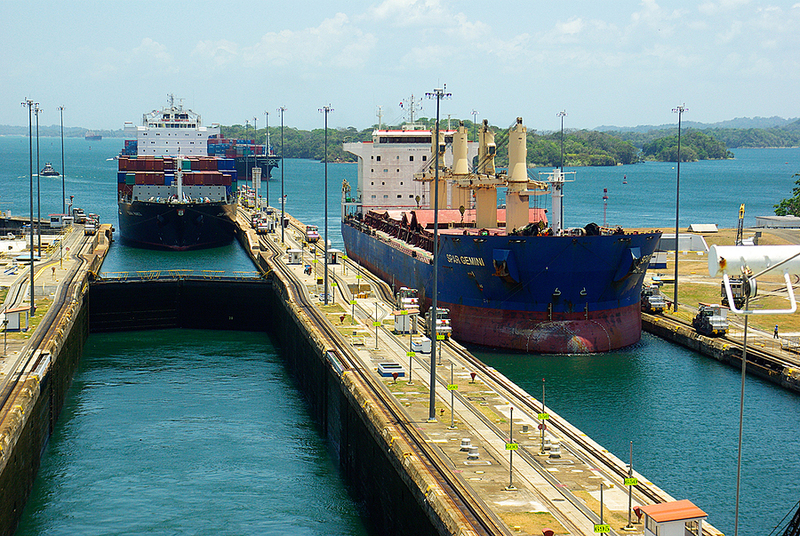 Ships passing through the Panama Canal go through a series of locks that control the amount of water in the canal and connected reservoirs, and each of the lock doors weighs as astonishing 750 tons. “There are 12 pairs of locks in total and each one fills with 52 million gallons of water to accommodate the nearly 15,000 ships that cross the canal each year,” the article added. As you can see, the Panama Canal is truly a work of art and it’s safe to say that if we didn’t have it the cost of goods coming from overseas would be far more expensive. Plus, international cruises would be a nightmare.